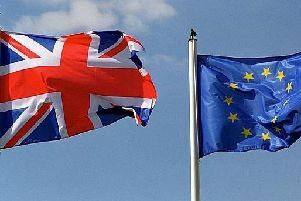 I woke this morning to the depressing news that we had now become a more insular, nationalist and divided nation following the referendum result – the biggest up-yours in modern British political history. So I was not surprised that David Cameron resigned being the architect of this disaster, not because he thought it was in the national interest but because it was useful to manage internal Conservative divisions; he ultimately put his party before the country – as history will judge him accordingly. The referendum was about immigration, which depressingly became the prism through which millions of people viewed everyday problems: the lack of affordable housing; the lack of secure jobs; stagnating living standards; strained public services. Unfortunately, this result will further create a slow brake up of the union that will have profound effects for Northern Ireland, Wales, Scotland and England not to mention the wider EU nations. ‘Project fear’ has now become a reality with the pound now plummeting. But don’t worry as Boris Johnson has kindly agreed to apologise when the UK enters a self-inflicted recession – how gracious of him? Nearly half of the British people who voted ‘remain’ now feel scared and angry but equally many of the ‘leavers’ already felt marginalised, ignored and hated. The growing chasm between the generations has only been deepened and further divided by this result. I had hoped voters would be more sceptical by examining the cynical lies propagated during the referendum that all our internal problems were as a direct consequence of EU migration, not from the years of both Coalition and Tory austerity cuts, which will now only get worse with even more privatisation. For those who genuinely believe that Nigel Farage, Boris Johnson or Michael Gove are capable of understanding or addressing the deep social economic divisions within our now intensely divided, more marginalised right-wing nation, I’m afraid that many will not share this short sighted euphoria. All we need now is for Donald Trump to become President of the Free World to complete this dystopia nightmare.